In 2001, Kenn Starr joined the Low Budget Crew, which also included D.C. locals Oddisee, Kev Brown, Critically Acclaimed, and Cy Young. His connection with producer Oddisee landed him a deal with New York-based indie label Halftooth Records, which released his debut single, "If", featuring Talib Kweli and Asheru, in early 2004. "If" and its B-side, "Walk the Walk", were included on the Halftooth Records compilation You Don't Know the Half. The single led to a number of guest appearances including The Foreign Exchange's "The Answer", Wordsworth's "Head High", and Symbolyc One and Illmind's "Guilty Pleasures". In June 2006, Starr released The Starr Report, a mixtape featuring most of his unreleased guest appearances on albums by the likes of Supastition, Cesar Comanche, The Foreign Exchange, and Kev Brown; followed by the single "Against the Grain". 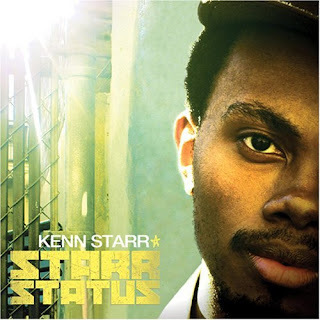 On August 29, Starr's debut album, Starr Status, was released, featuring production from Illmind, Khrysis, Kev Brown, Oddisee, DJ Roddy Rod and M-Phazes. Starr Status garnered the rapper attention from magazines including Scratch, The Source, and JIVE, who called Starr "one of the best MC's in the game"